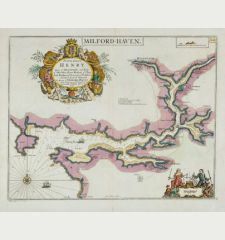 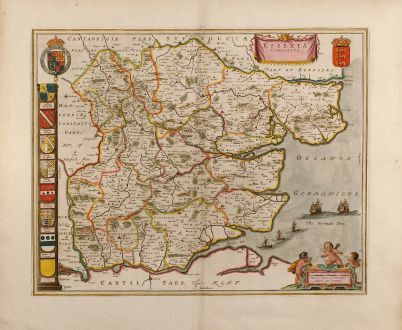 Coloured map of Essex. 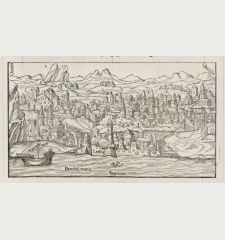 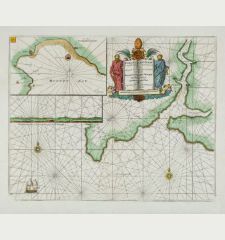 Printed circa 1660. 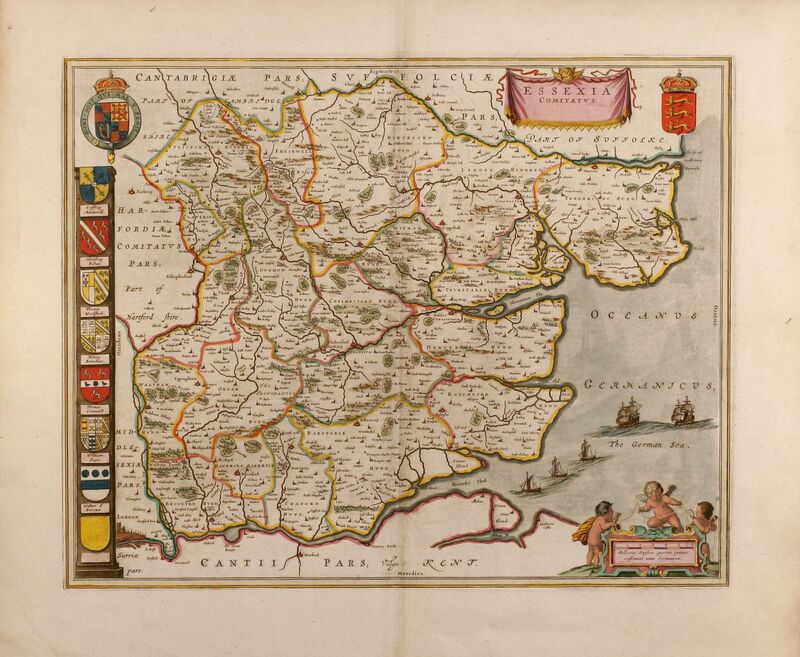 Outstanding attractive map of the country of Essex in UK. 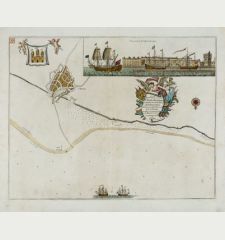 Colour is gold heightened, with king coats of arms and family coats of arms, last is empty. 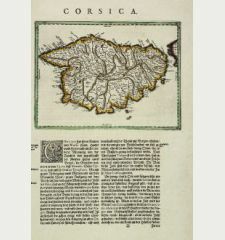 French text on verso, with a coloured view on back. 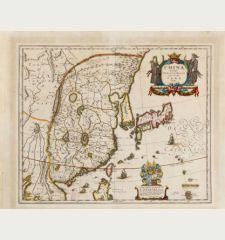 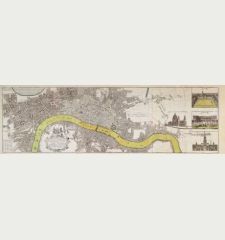 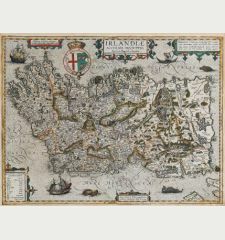 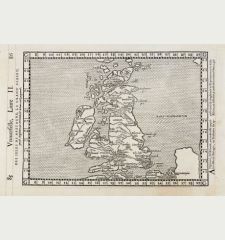 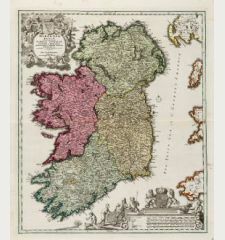 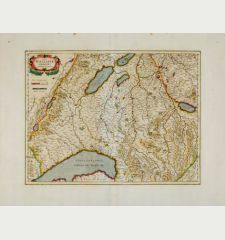 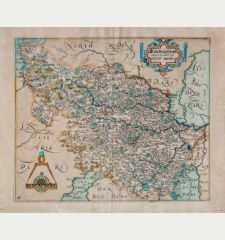 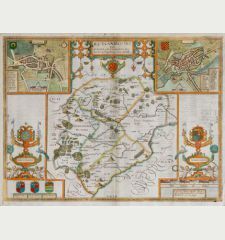 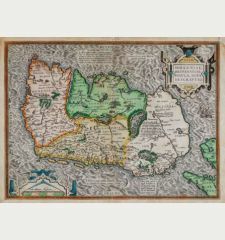 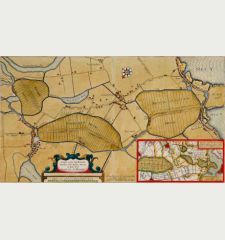 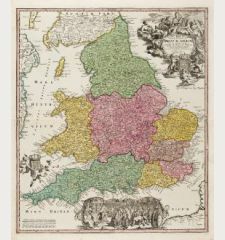 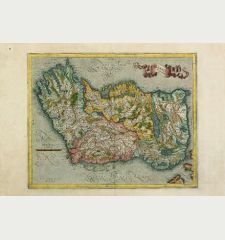 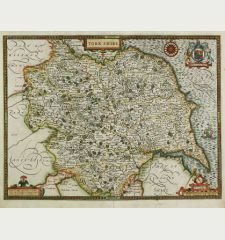 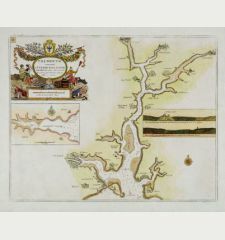 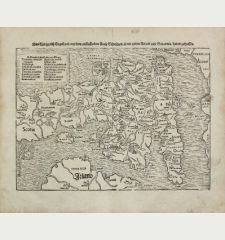 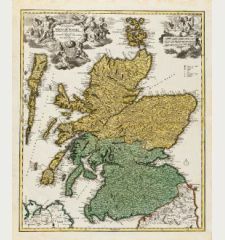 Wide margin and heavy paper, extraordinary fine example of this attractive map. 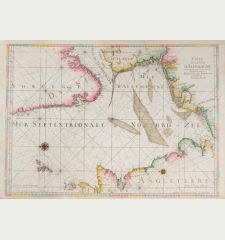 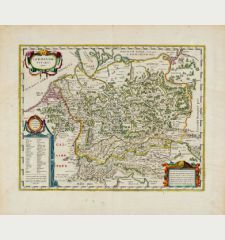 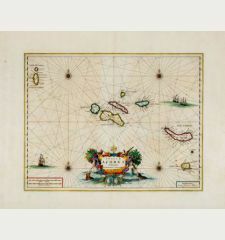 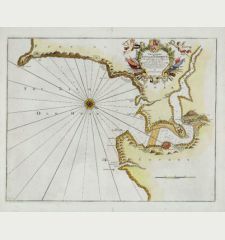 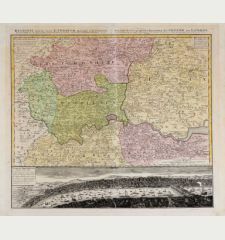 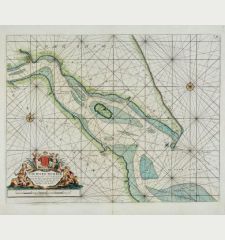 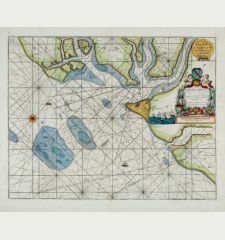 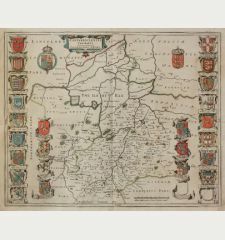 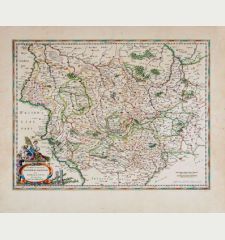 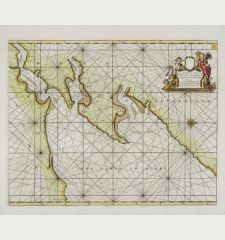 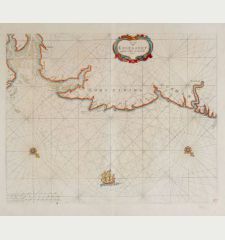 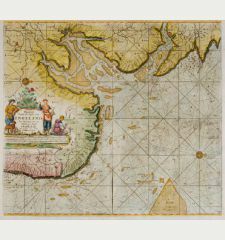 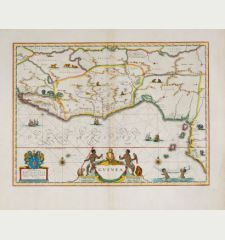 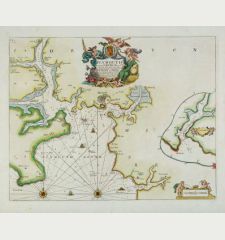 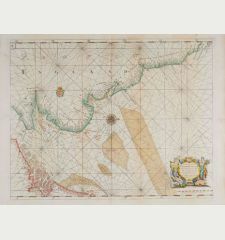 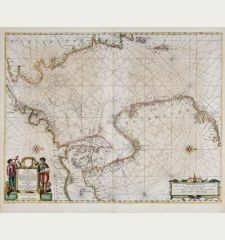 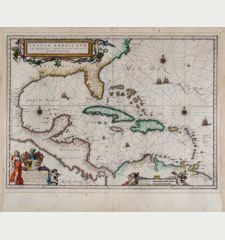 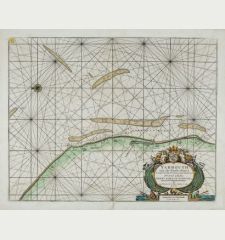 Willem Janszoon Blaeu: Essexia Comitatus.